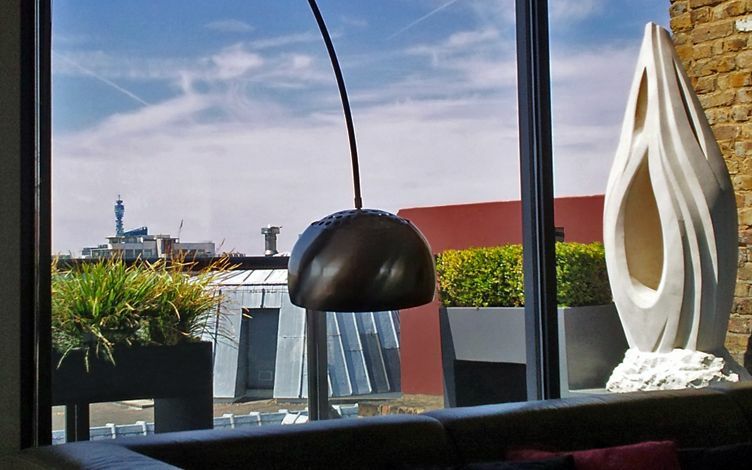 London, a glamorous gateway to roofs of the world, dispatches high-reaching spaces with attitude at altitude – shouting urban gospel day and night from its refulgent rooftops. 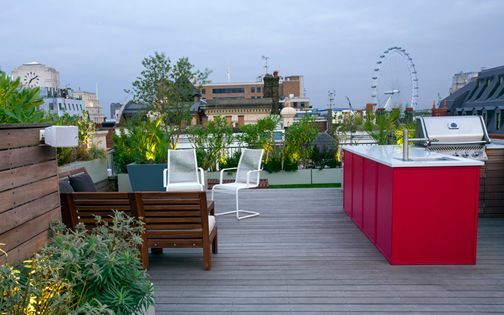 But, not all of the capital's roof terraces are made equal. 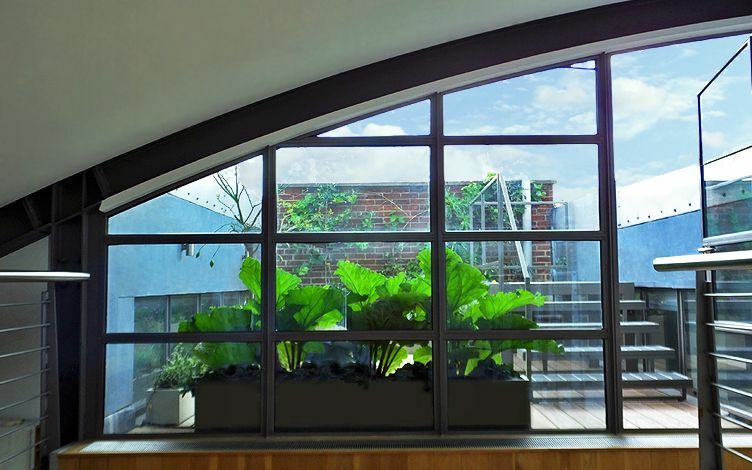 A cut above the rest, indoor-outdoor rooftop gardens transcend archetypical design models into their skyline in a three-way interconnection between interior, exterior and landscape – a seamlessness tangibly and inspiringly grasped through full-height glazed expanses. 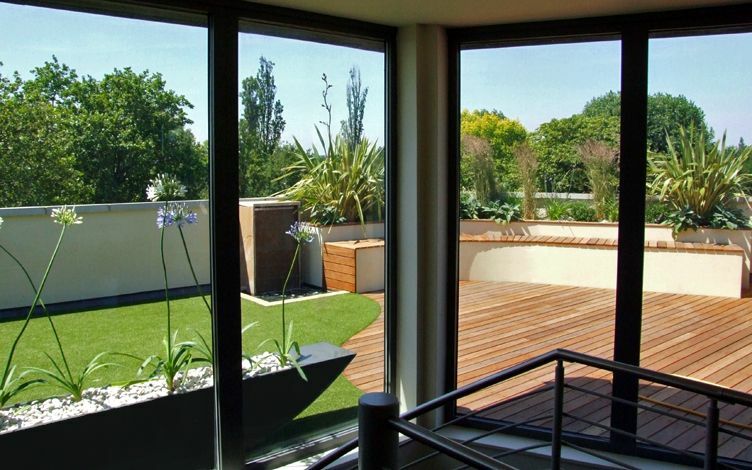 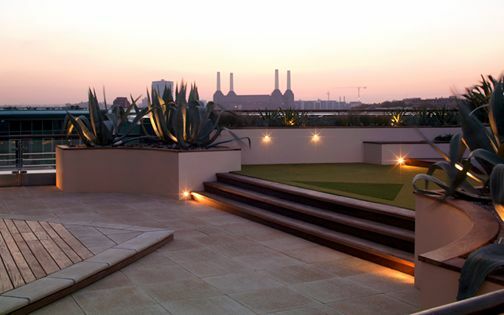 This architectural synthesis drives our roof garden design philosophy when developing London penthouses, and in this article, we take a peek at the peak of indoor-outdoor roof terrace design with some ambrosial bonnes bouches, up on the rooftops. 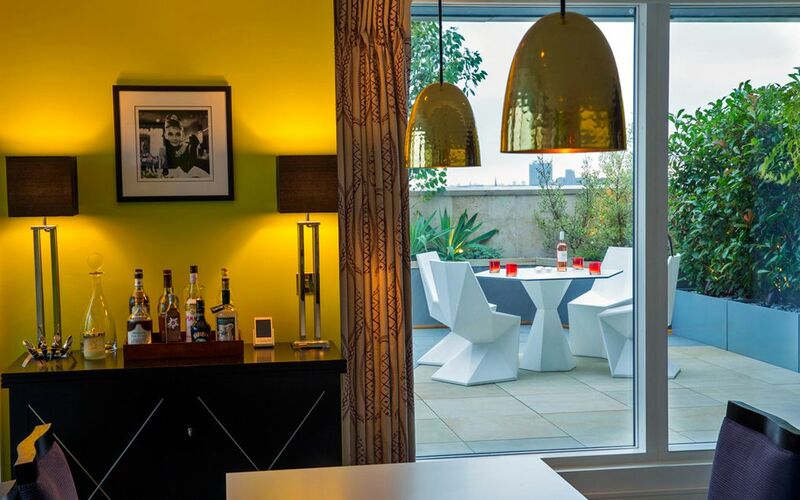 Uninterrupted views, matching surfaces and cohesive colour palettes. 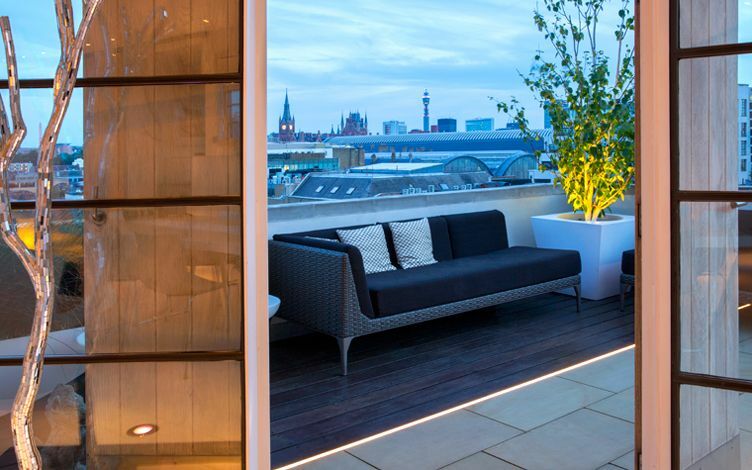 Integrated, complementary indoor-outdoor roof terrace vistas. 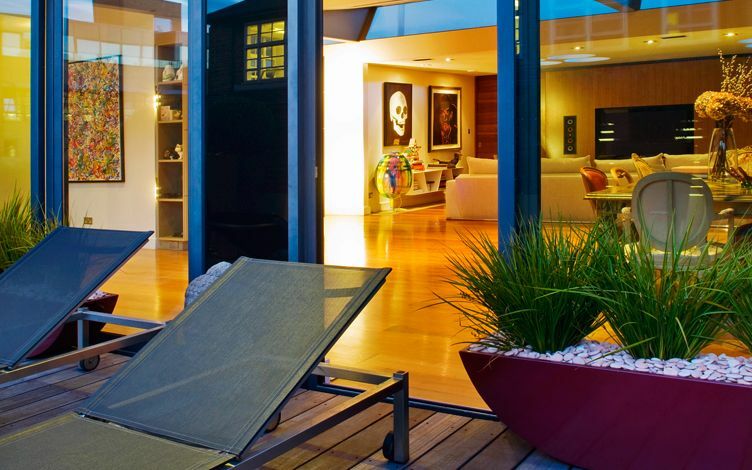 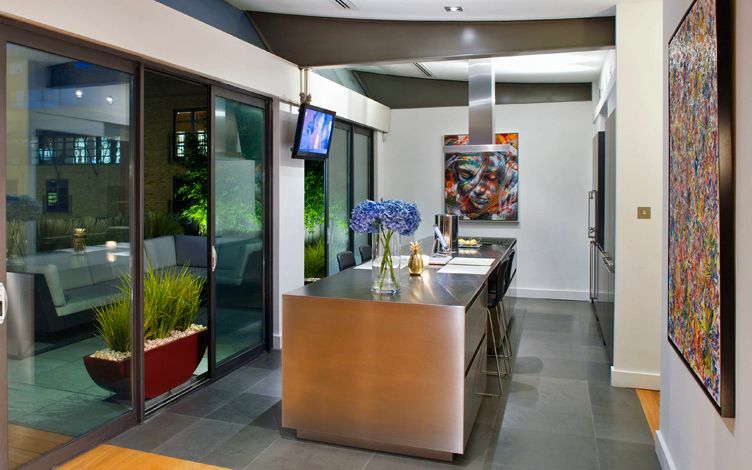 Draw and focus of design focal points in indoor-outdoor roof terraces. 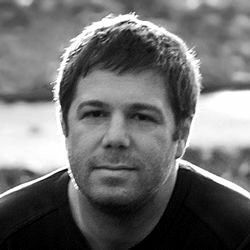 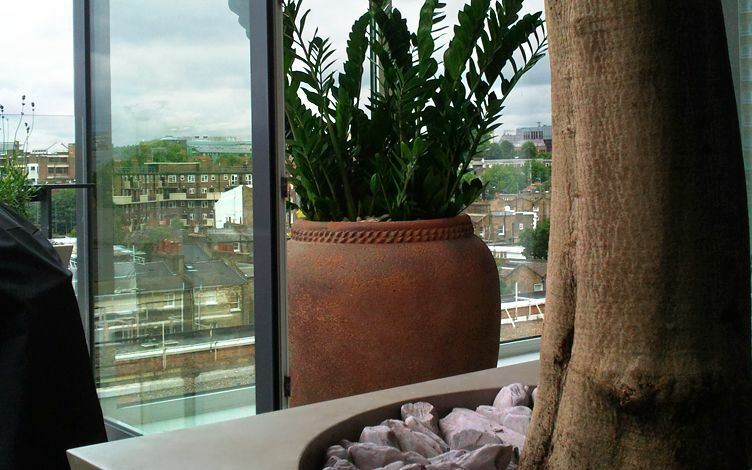 Whether archetypally enveloping entire living spaces, floating companionless atop riverside penthouse pods, or dotted as outdoor fragments around converted period homes, urban roof terraces are invariably geared towards indoor-outdoor integrality. 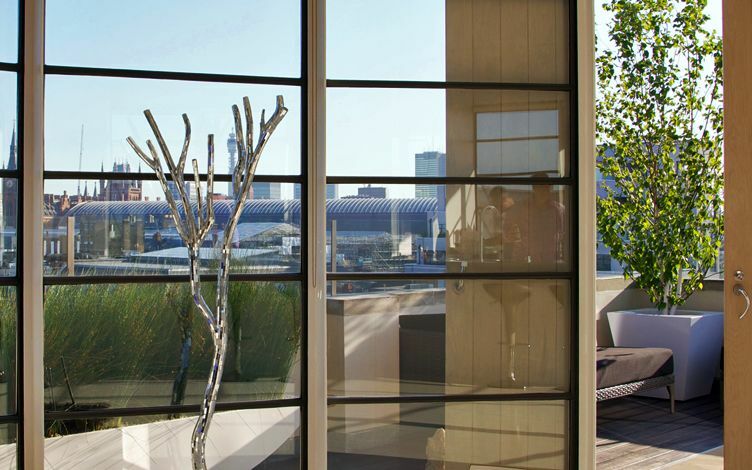 This inherent wholeness unveils its reciprocal facets through diverse focal points, when compatible outlines, tonalities and textures reiterate interior components, and echo contiguous contours in the skyline. 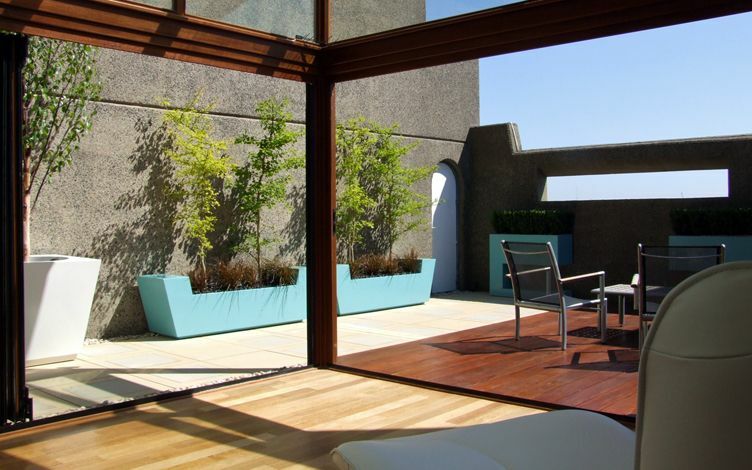 Granted, allurement, focality and three-dimensional accentuation perpetuate visual enticement in every garden design project, yet, throughout London's sharp-edged metropolitan highlands, roof terraces are no ordinary interior-led sidekicks, generating superior focal magnetism and high contrast, backlit by crisp skies. 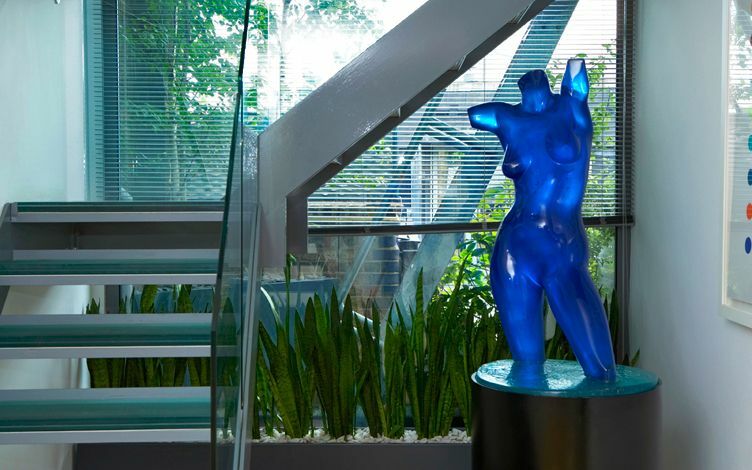 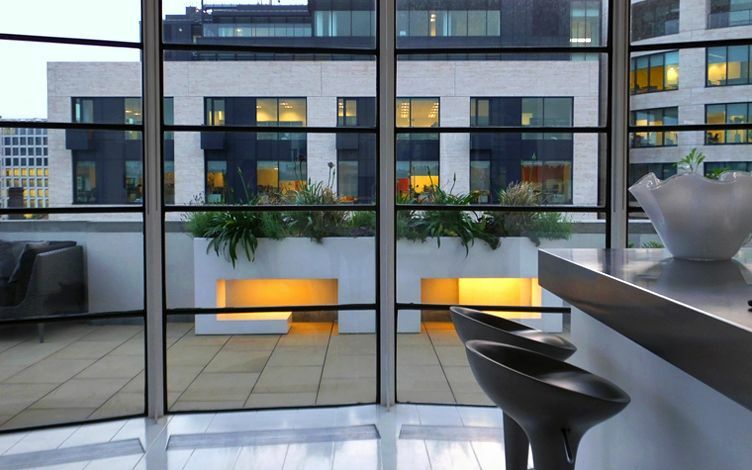 By integrating comparable indoor planters, layering volumes and focusing site-specific shapes, we accomplish judicious interspersion of silhouetted sculpturing – the touchstone of modern indoor-outdoor roof terrace designs. 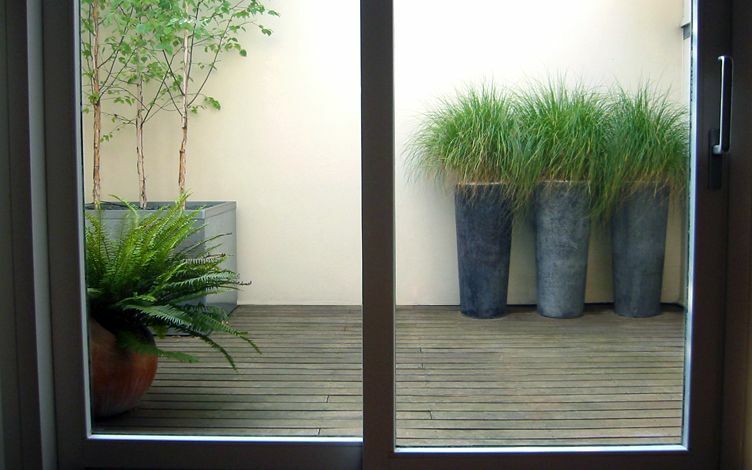 Indoor-outdoor interdependence of lifestyle design elements. 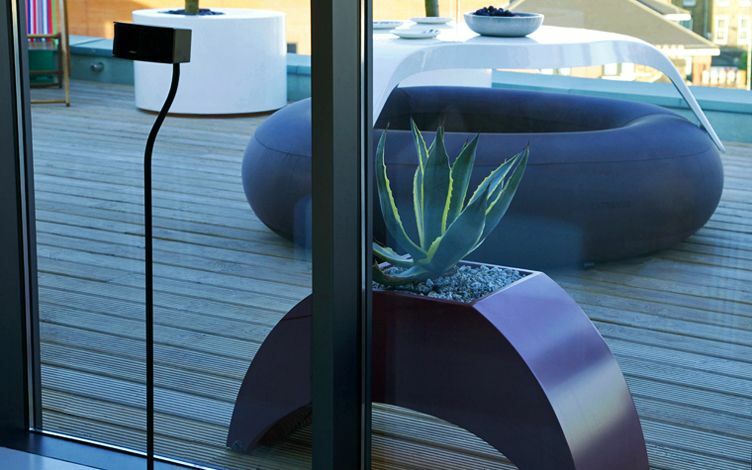 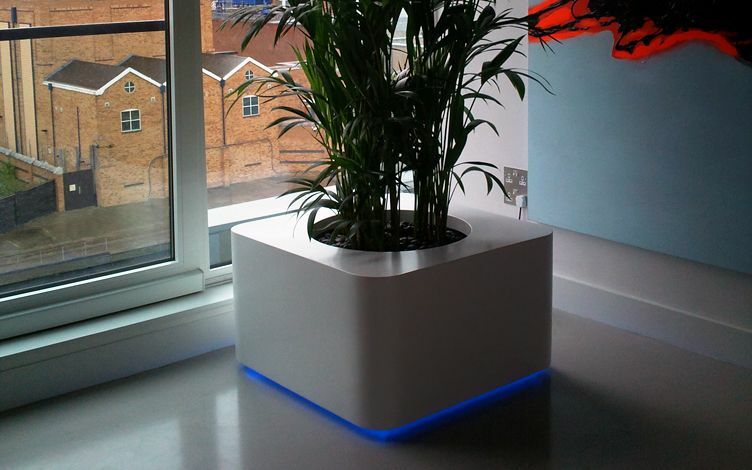 Streamlined, slimline, low upkeep, bespoke indoor-outdoor planters. 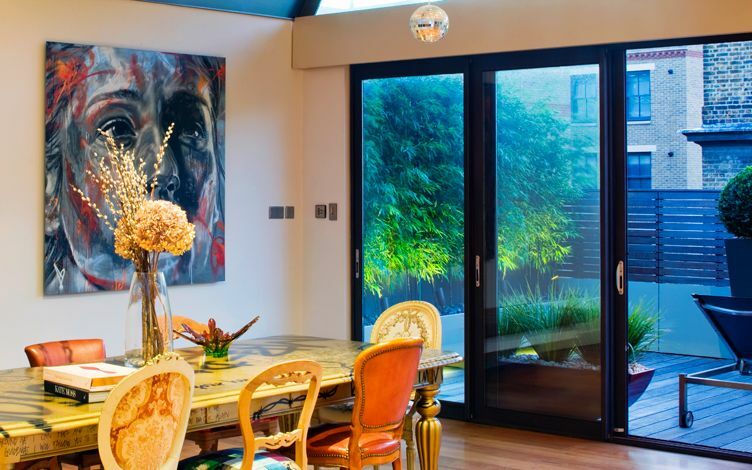 Low maintenance, the cosmic doorway to a hassle-free life, headlines every project we're commissioned to design in London as the coveted undercurrent. 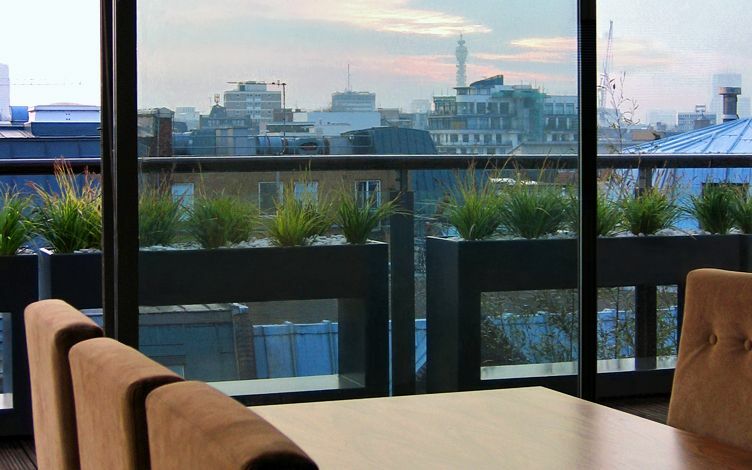 Captaining the varied cosmetic requirements of these cosmopolitan fundamentals can prove wearying at time, yet while we often formulate minimalist roof terrace layouts, the benefits of this ultimate lifestyle manifest their worthwhileness as faithful indicators of longevity. 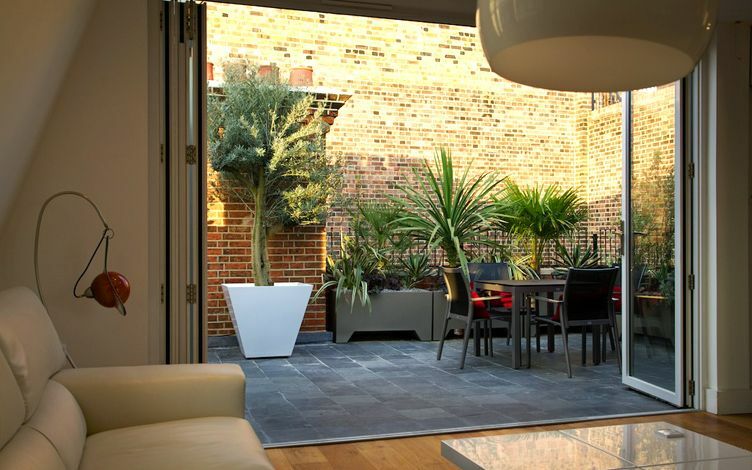 Indoor-outdoor roof terraces truly lend themselves to a minimal upkeep approach, satisfying an innate need for spotlessness both inside and outside, signified in the lenient amounts and types of plants, surface selections, planter finishes, furniture choices and automation of irrigation, lighting and heating. 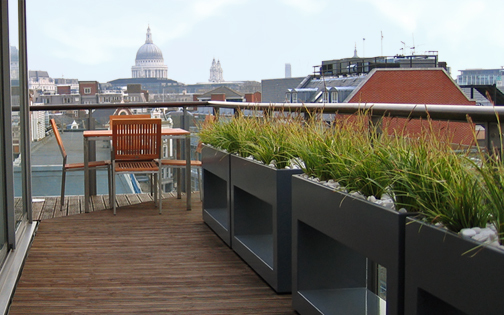 Waterproof, windproof, sunproof, shatterproof, childproof and pet-proof, the specifications which form a reliable low-maintenance barometer likewise pervade London rooftops in the colonisation of indoor-outdoor ideologies, when entertaining ad hoc ought to be congenially foolproof. 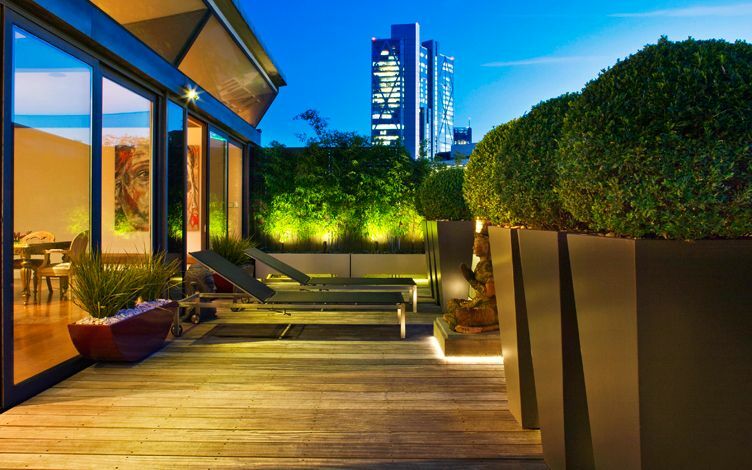 Night-time continuum in an indoor-outdoor penthouse roof terrace. 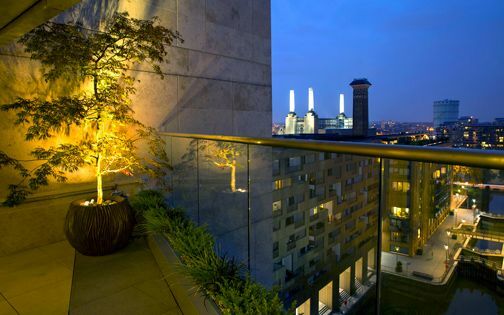 External lighting fosters indoor-outdoor cohesiveness more than any other roof terrace design element, and while countless of our London clients utilise their rooftop gardens nocturnally, this energy-efficient, maintainable and brilliantly impactful design aspect crowns interior-exterior continuance with unequalled gusto. 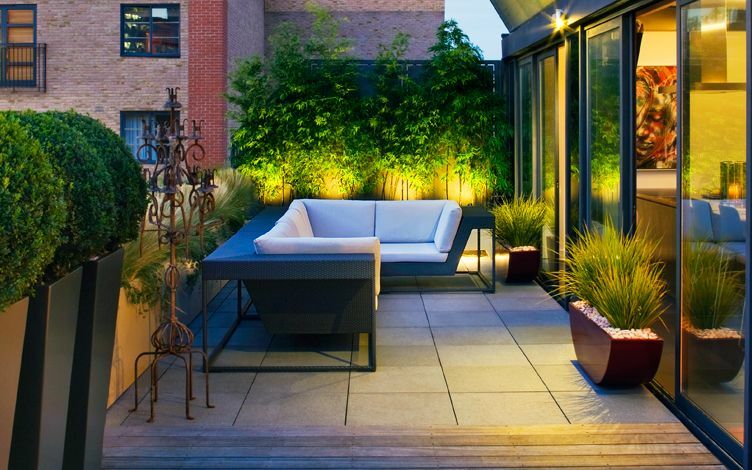 Subdued, bold or merely accentual, roof terrace lighting not only emanates a warm spectrum of colour constancy amid rooftop and residence, but also interlinks roofscape with cityscape rather readily. 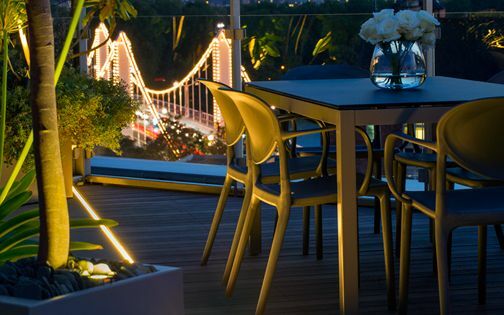 From our unremitting urban skyglow to intimate, private afterglow, well-lit roof terraces radiate within a London horizon, where site-responsive lighting generates glowing roof terraces, evocative of their backdrops yet serviceable. 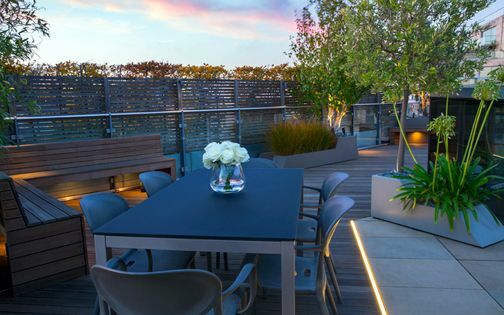 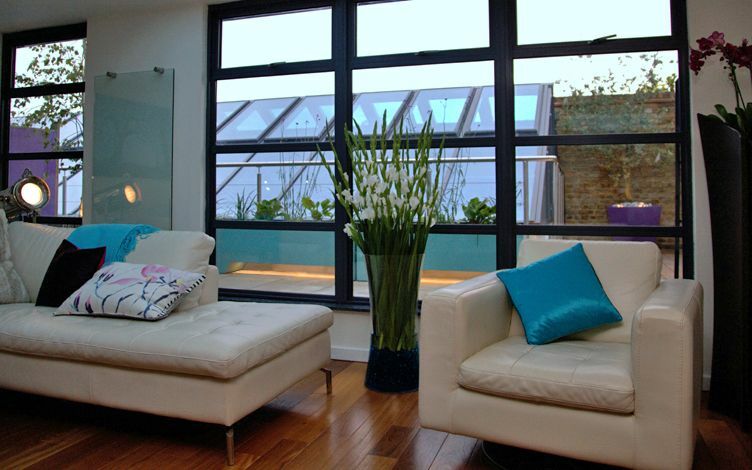 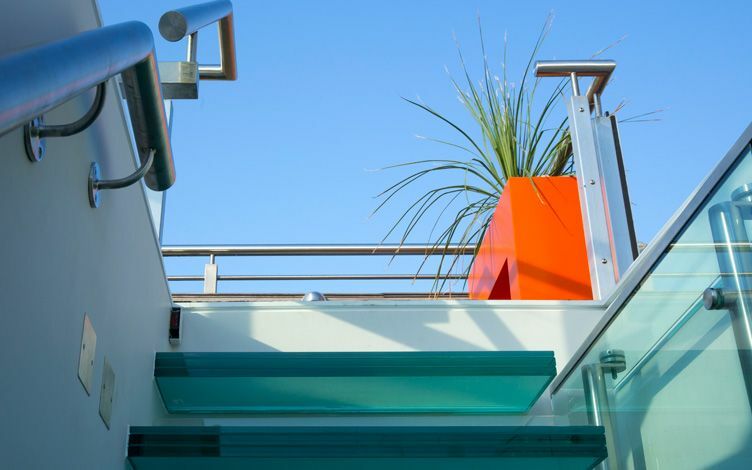 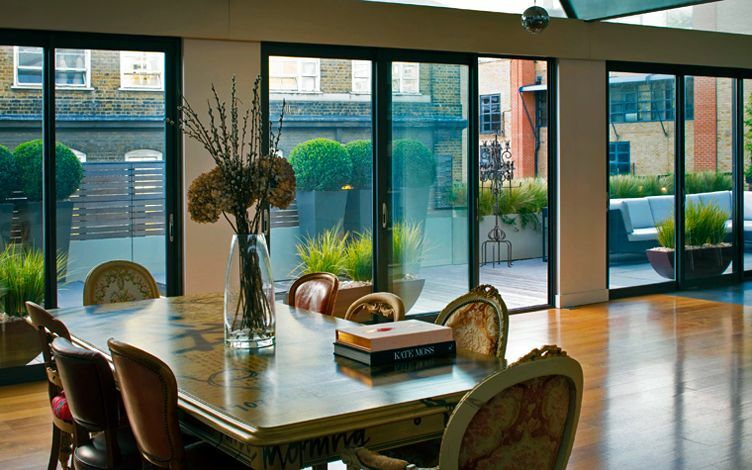 From bohemian or eclectic to spectacularly streamlined, every London roof terrace project we develop imbues amplified luminosity; the signature attribute of contemporary penthouse apartments sleekly surfaced both vertically and horizontally. 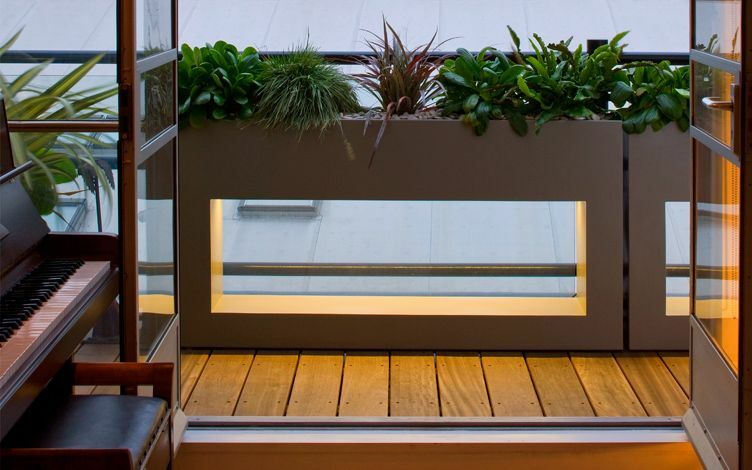 This emanative light quality finds its apt interchangeability nestled within highly desirable indoor-outdoor harmony, furthered by idiosyncratic veracity and architectural discernment. 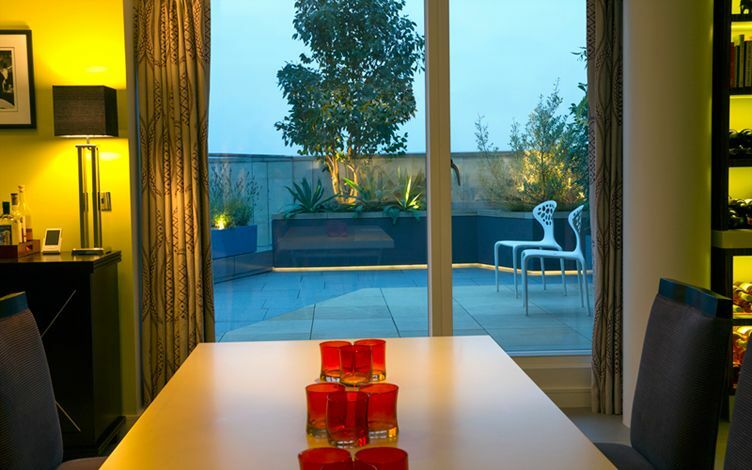 Luxuriantly foliaged, opulently detailed and captivatingly lit, rooftop exteriors and apartment interiors interchange a sequential duologue of vital balance, shared liveability and alluring panache.